The Bar Council of India has invited elected representatives of all State Bar Councils for a discussion on 8th and 9th of April. According to a Facebook post by BCI Chairman Mr. M.K. Misra, the joint meeting would witness a discussion on the amendments required to be made to the Advocates Act, 1961, in light of the judgment of the Supreme Court in the case of Mahipal Singh Rana v. State of Uttar Pradesh. In the same vein, it wishes to discuss the future course of action for agitation to oppose the proposed amendments by the Law Commission of India. The BCI had earlier called for a nation-wide protest on March 31 against the Law Commission of India’s suggestions to the Central Government for drastic changes to the Advocates Act, 1961. The 266th report of the Law Commission of India titled ‘The Advocates Act, 1961 (Regulation of Legal Profession)’ had emphasized on the need for reviewing Regulatory Mechanism and Regulatory bodies etc., and recommended comprehensive amendments in the Advocates Act. The Commission had also submitted a draft of Advocate (Amendment) Bill, 2017. 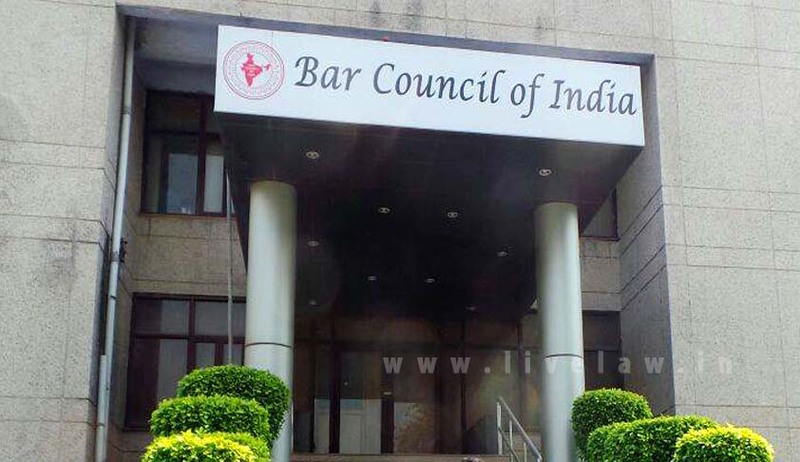 The LCI report had made reference to the verdict in Mahipal Singh Rana’s case, wherein the Apex Court had observed that there is an urgent need to review the provisions of the Advocates Act dealing with regulatory mechanism for the legal profession. The three Judge Bench comprising Justice Anil R. Dave, Justice Kurian Joseph and Justice Adarsh Kumar Goel had then requested the Law Commission and the Centre to take appropriate steps in this regard.